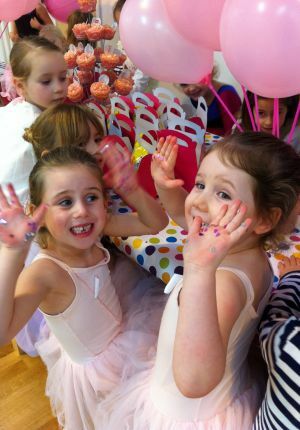 FitzGraham offer ‘dance themed’ birthday parties for children of any age. We suggest working with a theme and the party will be tailored to fit the age, theme and number of children. If you have a preferred suggestion we will endeavour to cater for this. Our dance parties are 2 hours in length including learning a dance routine and lots of fun and games. The studio will be pre-decorated with banners, balloons and bunting with party tables and benches also provided and decorated. If you wish to have party food afterwards we allow use of our cafe area for an extra half an hour at no extra charge, just bring your own picnic. We aim to please and our packages are a guide only, we are open to suggestions and will tailor your party to suit your individual needs. We hope you will choose to have your special occasion with us and look forward to welcoming you to the studio. If you have any questions, or would like to book a dance party, please contact us.